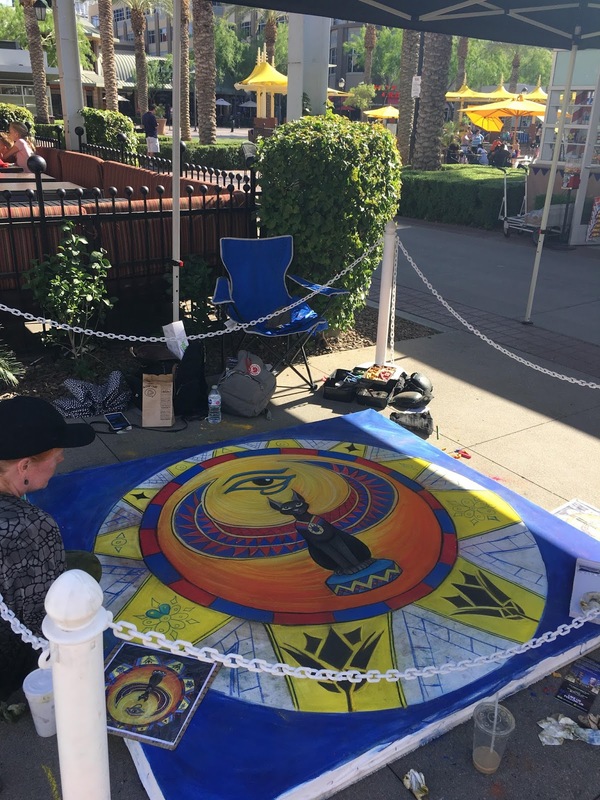 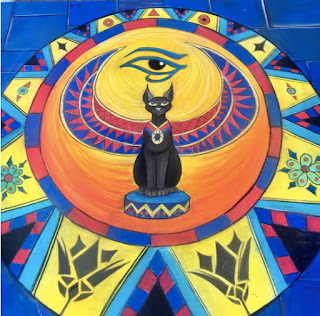 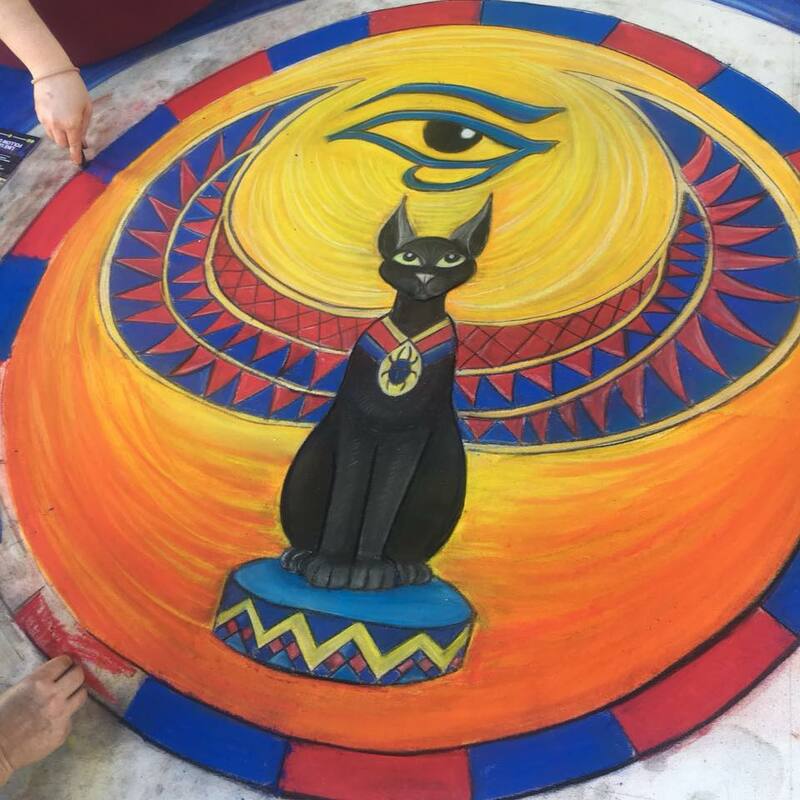 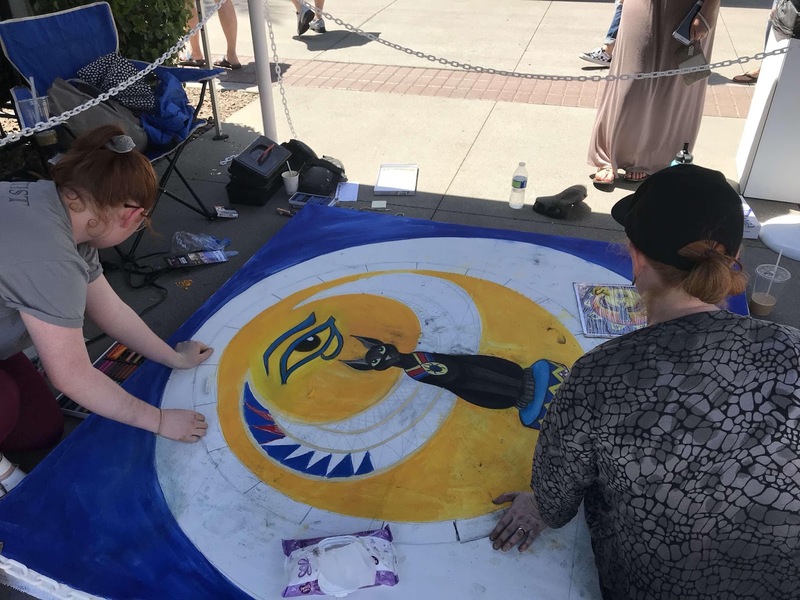 While the teachers continued to strike downtown, Phoebe and I spent a day at Westgate Entertainment Center creating another chalk mural of Bast. 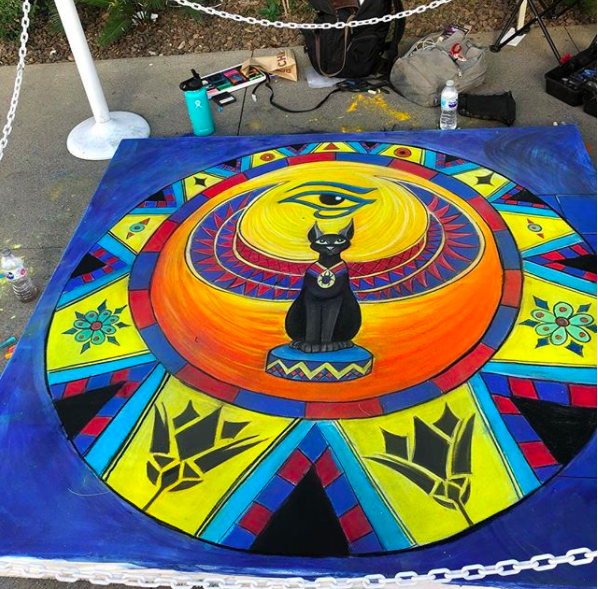 For this festival we were asked to draw our mural on an oversized canvas so it could be auctioned later on. Since this was a one day festival we started early and basically worked continuously all day long. Unfortunately I had forgotten my phone and camera, so all of these photos are "borrowed" from people at the festival. 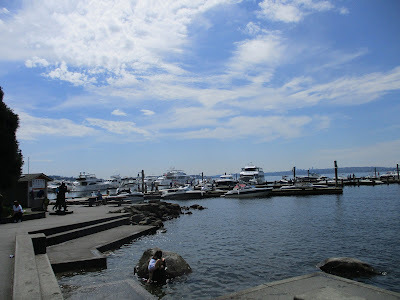 This is late in the afternoon. This is nearly done, but not quite. And this is the final shot. 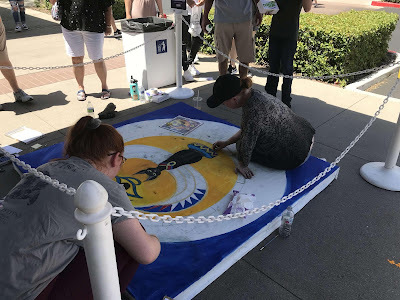 We took till about 6pm to finish. It was 97º that day and then when we went to look for our car it was no where to be found. We wandered through the parking lot for 40 minutes, until.... well, it was just where I left it, but the parking lot just looked so different at 6:30pm than it did when it was empty early that morning. 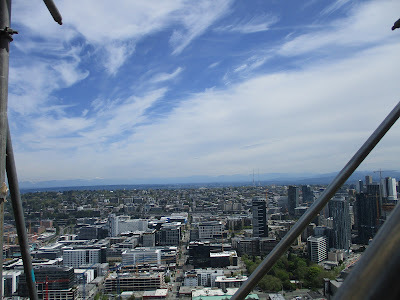 Last weekend Mike and I traveled to Seattle to visit with my brother, Duncan and his wife Kristin. 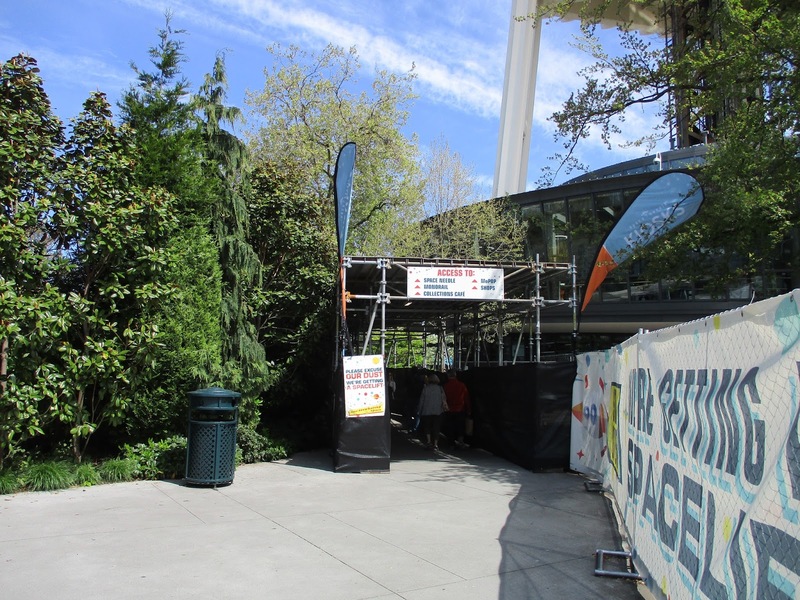 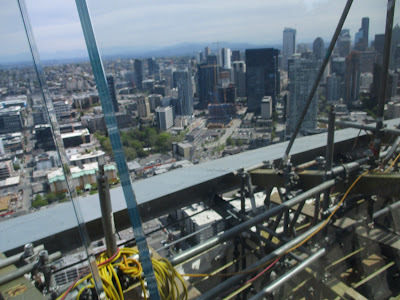 They took me out to the Space Needle, which was under construction. The view from the tower was spectacular. 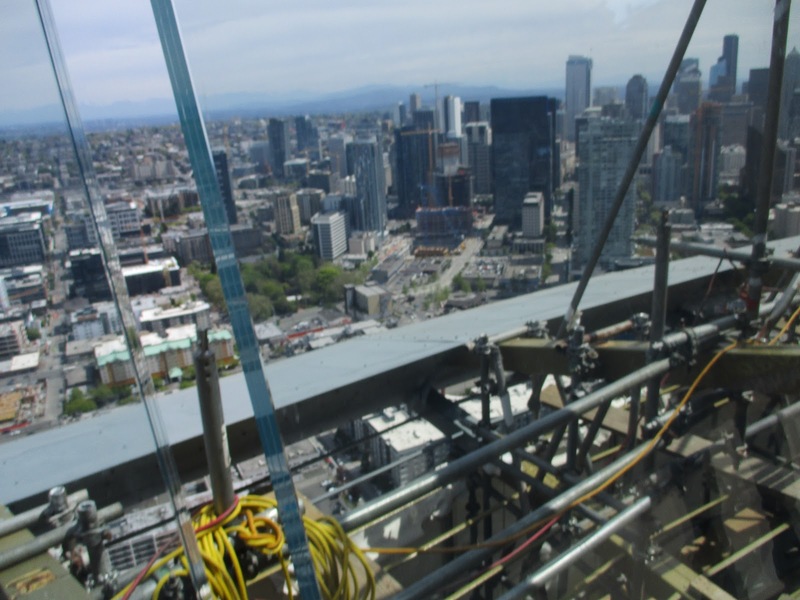 Even with all the building going on. 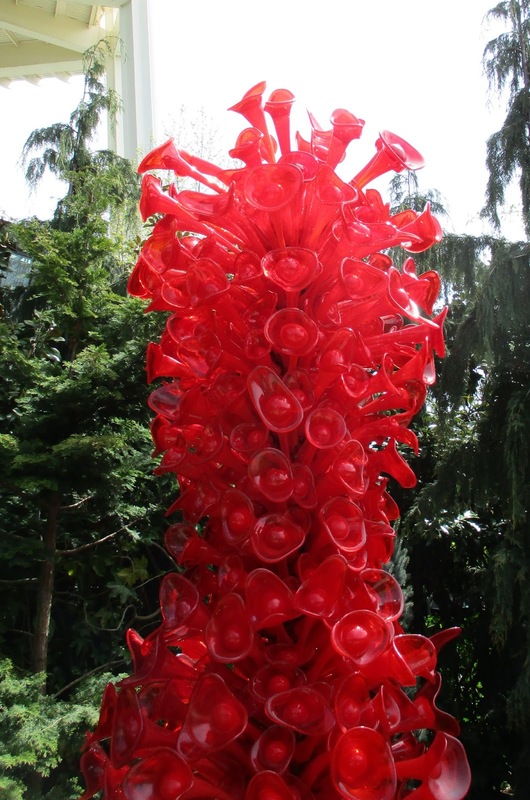 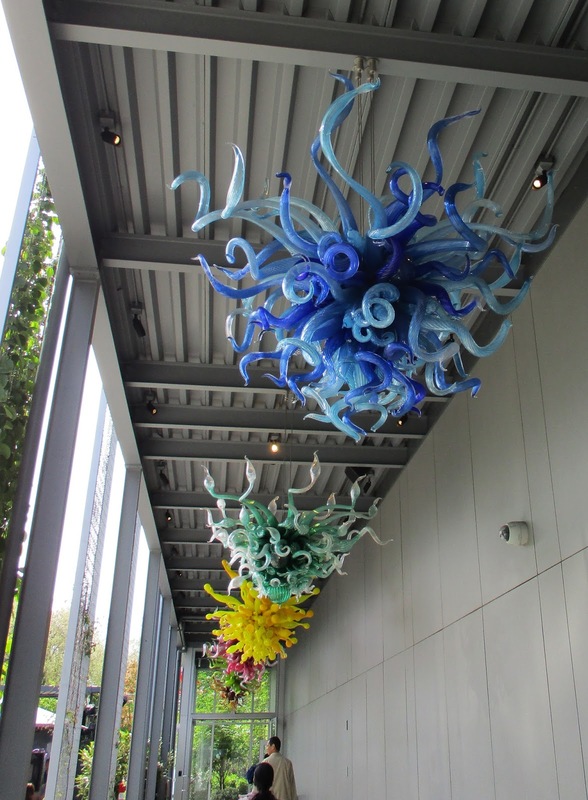 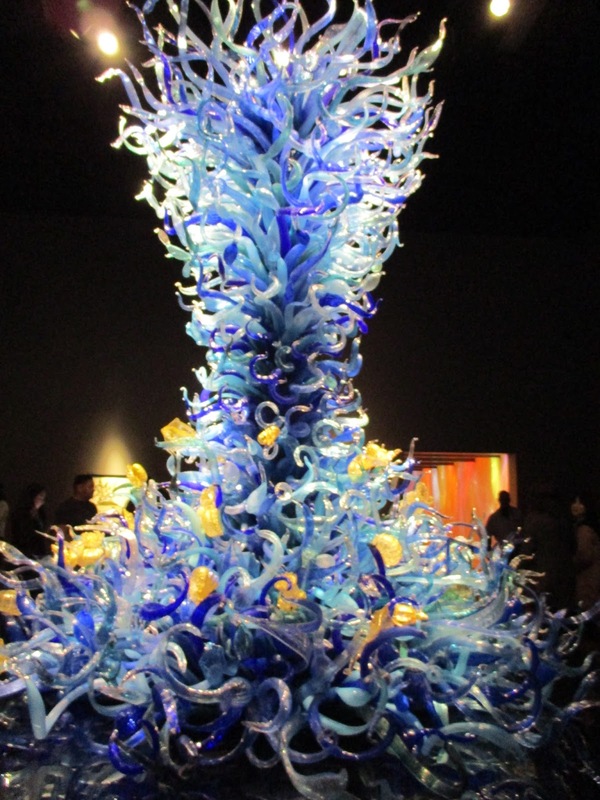 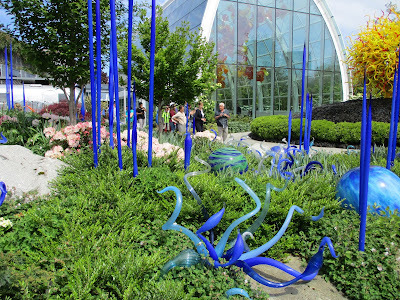 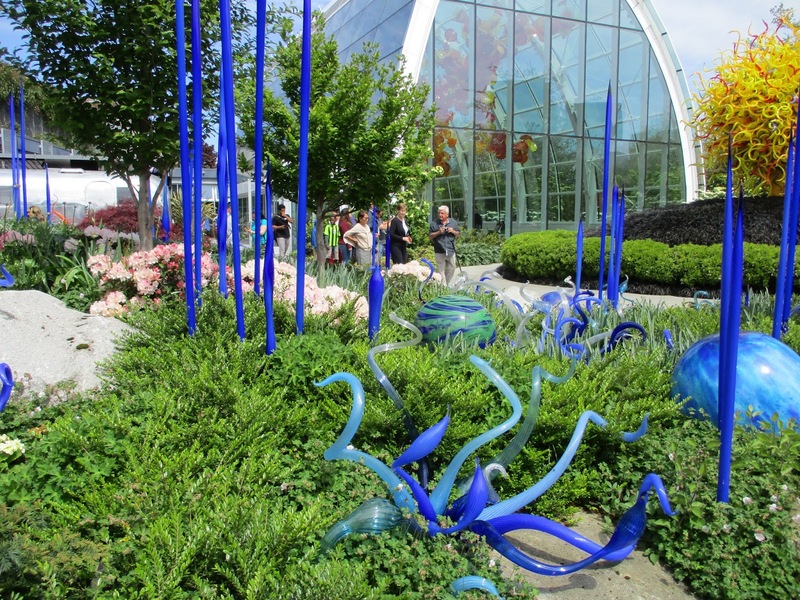 Chihuly is a world renowned glass artist and the exhibit was an incredible experience. 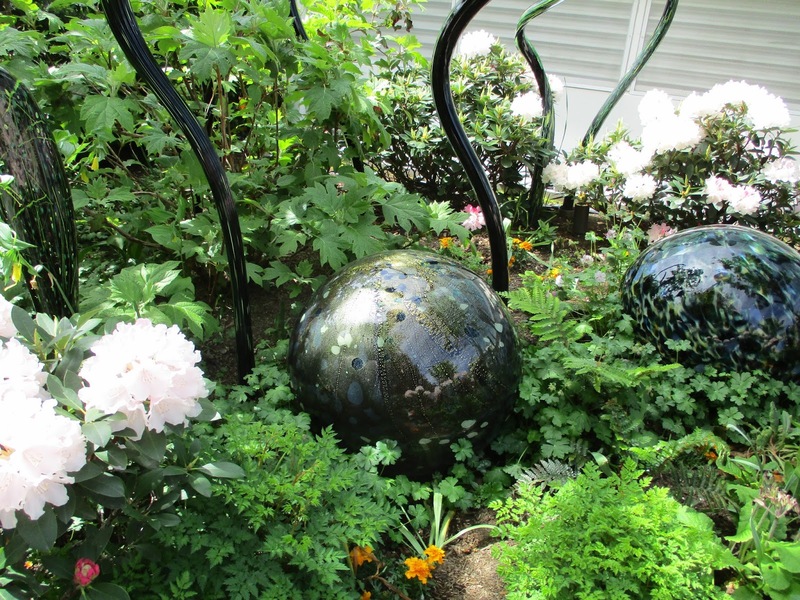 The exhibit wove inside and out into the garden. It was nice to be outside, as the temperature in Seattle was about 20º cooler than Phoenix right now. 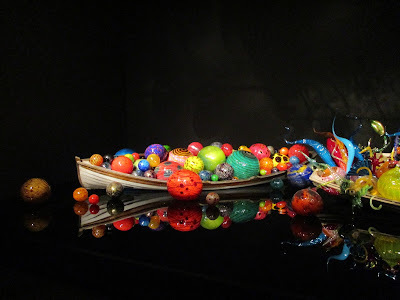 There was so much to see at the exhibit. 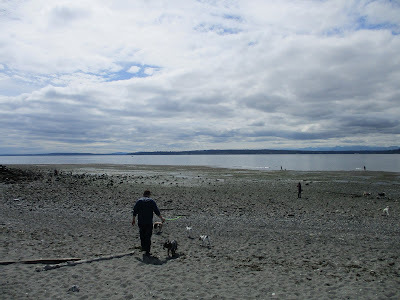 Duncan and Casey, their dog, on the beach. 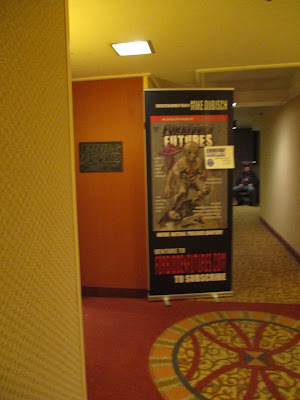 It was a great visit, but Mike also came to launch his new magazine, Forbidden Futures, at Crypticon, Seattle. I didn't make it to the con, but I did swing by the after party for the magazine. 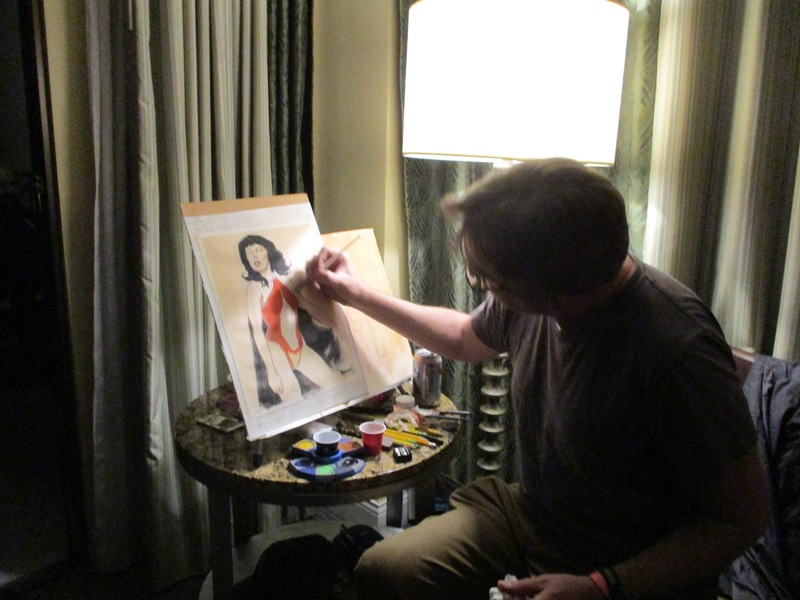 This is Mike drawing one of the attendees who was dressed as Vampirella . It came out pretty good!! 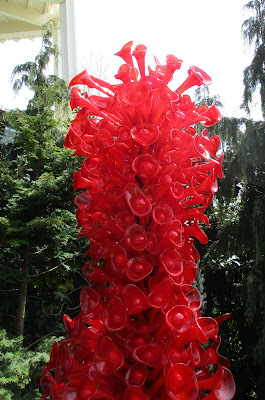 Anyway it was great to see Duncan and Kristin again and get out of the city just as it's heating up. 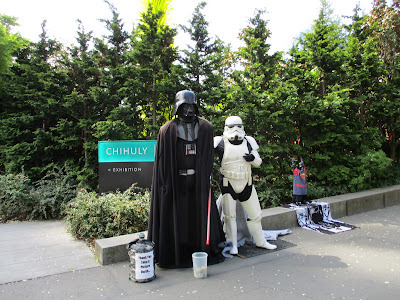 The teacher's strike has ended now and I'm back to teaching and mask making this week! In the mean time we're trying to get organized for our big trip to Ireland this summer.